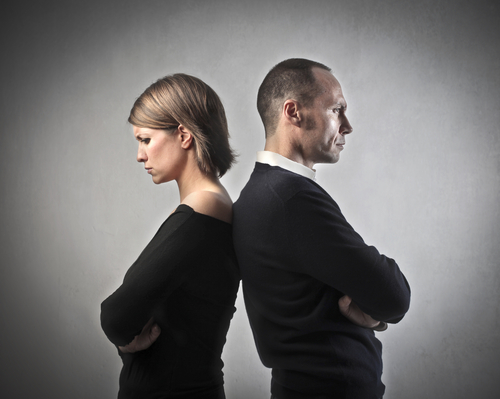 Not all divorces are alike. Some divorces are easy and amicable, whereas others are complicated and disagreeable. And sometimes spouses try to hide their assets in a divorce to avoid having to share them. People hide assets for a number of reasons, and if a divorce has been planned for a while, a spouse might be more prone to hide assets they don’t want discovered. The most common types of assets hidden in a divorce are cash, stocks, bonds, mutual funds, cash value in insurance policies and variable annuities, and bearer municipal bonds. Many people will also convert cash into personal property such as jewelry, art, antiques, vehicles, collectibles, and hobby equipment to avoid having to share it with their soon-to-be ex. Assets can be hidden in a variety of ways. The most common technique is to use someone else who may or may not be aware of what’s going on. A spouse may put personal possessions or certificates into a safety deposit box under someone else’s name, for example. Or they might even go so far as to transfer assets into the name of someone else. Some spouses might use their child’s social security number to establish accounts or transfer assets into a pension, profit-sharing, or 401(k) plan. Other spouses hide assets in the form of a phony debt or an expense that appears legitimate but is actually a disguise for their funds. Transferring money to trusts, gifting money, and personal businesses can also be used to conceal funds from your spouse in a divorce. So if you think your spouse is hiding assets from you, how can you go about finding those assets? While you might be able to start the process on your own, an experienced divorce lawyer can make uncovering hidden assets far easier. First, you will want to ask your spouse to disclose all of their financial records. If your spouse can produce all of those records, then you’re off to a good start. If your spouse doesn’t have the records, you might be able to work with them to gather all the necessary information. But if they are hiding assets, they may refuse to produce those financial records. Demand for financial documents. A Florida attorney can file a “production request” to demand that your spouse produces certain documents, such as financial statements, tax returns, account records, or loan applications. Deposition of a spouse. A deposition allows for one spouse to ask detailed questions where the other spouse must tell the truth because they are sworn under oath. Interrogatories. Interrogatories are written questions that a spouse has to answer. Even though a spouse is required to answer the questions, the answers can be planned and carefully worded as to provide no useful information. Request for admission. A Request for Admission requires your spouse to admit or deny a significant financial detail. If your spouse denies a fact that is later proven to be true, they will be responsible for certain lawyer fees. Subpoenas. If nothing else works, a lawyer can issue a Record Subpoena for financial information from your spouse’s employer, medical providers, banks, and businesses that have to legally provide the records. The discovery process can be especially effective if your spouse isn’t being forthcoming with their financial information. It allows the court to demand compliance from the uncooperative spouse so that you can be sure there is an equitable distribution or property. If you’re going through a divorce and think your spouse may be hiding assets or you have questions about property division, contact me today to see how I can help. 1 Comment on "Divorce Lawyer: How to Find Hidden Assets in Your Divorce"